It’s a sad fact, but there seems to be shortage of female singer/songwriters in the world. Of course, with the likes of Ingrid Michaelson, Sarah Bareilles, and Regina Spektor earning accolades, many might argue that women have a huge place in the music scene, and these women are strong writers, singers, and performers who deserve their spot in the sun. There are others on the way up, working hard to show they offer unique life experiences, formidable songwriting chops, and prodigious skill with their instruments. In a man’s world, it’s always hard to shine through, but some of these women—specifically Stacey Randol—make it look easy. It’s not fair to compare Stacey Randol to previously mentioned songwriters, but it will happen. She has relatable lyrics, a smooth sound, and a girl-next-door appearance, all of which could be said about the female artists currently topping the charts. What’s unfair is that Stacey comes out on top in almost every way, and therefore she shouldn’t be grouped in the same category. Neither should she be relegated to the minor leagues. Let’s break it down a piece at a time to learn why Stacey Randol should (and will) be considered one of the top names in indie music, starting with the lyrics. Women love girl-power songs, and we’re likely to gravitate toward female songwriters who can put what we’re feeling to words and music. Stacey’s no exception, but she offers something a little deeper with her songs. Instead of standing on the soapbox, bemoaning broken hearts, personal struggles, and the pain of first love, Stacey sits on the barstool next to each of us, hands us a piña colada, and asks us to talk back. With gentle humor, shown to perfection in Battled Feet from her debut album, Steady Rhythm, she compares painful shoes to the ache caused by unhealthy relationships. I’d rather have high heels than an idiot guy, she sings, giving life to the shoes that create calluses to shield from the pain. As women, we wear those shoes through the aches and bruises until they become comfortable, even if we know they’re not good for us. She can also be frank and real with us, as shown in Let Life Happen, where she sings It’s raw, it’s real, this disease/Let it grow full within/Develop it. Her take on life, that it’s going to happen whether you’re on board or not, is refreshing. She urges us to let go, accept what happens, and find ways to be happy anyway. Her grasp of metaphors, without the tendency to overuse them to the point no one understands the message, gives Stacey the ability to reach us all. Her voice—a confection of ethereal and earthy, caramel and salt—never falters. She handles acrobatics deftly, and writes music to showcase this. Never shying from the dreamy, breathless sounds, she then supports them with solid vocals. Steady Rhythm, the title track, is an excellent example of the sheer control she has over her own instrument. She gets light and playful with Wallflower, directing focus to the seriousness of the words when necessary by adding a foundation to the airy vocals, especially in the bluesy bridge. It’s a distinction many musicians are unable to make, but Stacey proves she understands her own words, music, and voice with her technique. The entirety of Steady Rhythm inspires happy thoughts, even through the darkest of subjects, which is probably something Stacey herself likes to promote. Quick with a smile and a laugh, it’s easy to see she likes to inspire strength and self-confidence in her listeners. She also, frankly, loves the beach, as her tropical-tinged songs will attest. It’s hard not to smile through the pain. 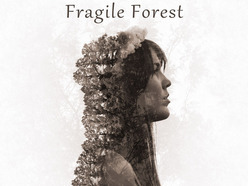 She mixes things up a bit with her latest single, Fragile Forest, without sacrificing her rich, sweet sounds. Leaving the beach behind, this serious tune still features her inimitable writing, as well as strong folk roots, like Joan Baez with a spoonful of honey. She sings, Whisper your secret of trusting spring to come, personifying nature almost as a lover, giving life and breath to the world we’re killing. It’s beautiful poetry, sung with beautiful voice, cementing her spot among female songwriters, even if you haven’t heard of her yet. You can learn more about Stacey Randol, hear her words and instrument for yourself, by visiting her website. Her songs are also available on her Facebook page and for purchase on iTunes and Amazon.